I got the idea from another Chicken Pie recipe, but tweaked it, to make it my own. 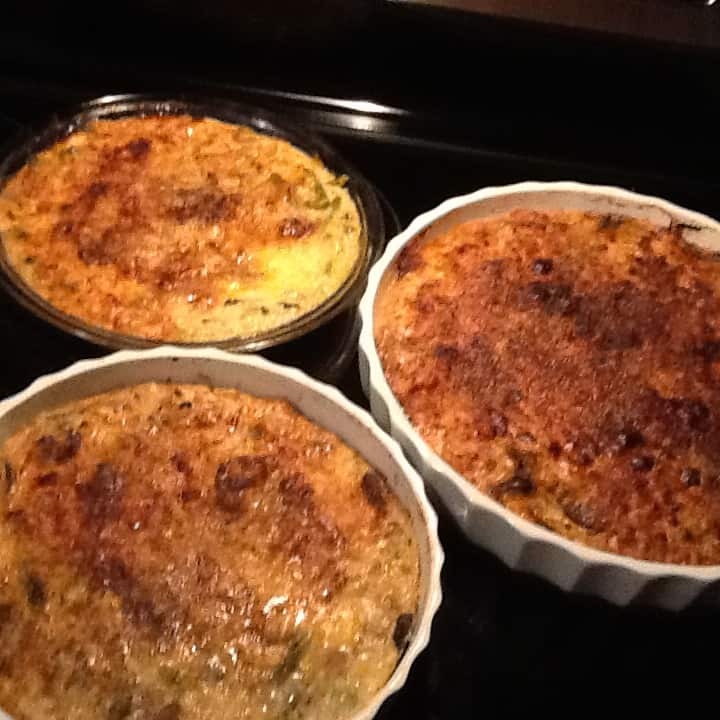 I doubled the quantities and it made 3 very tasty pies. Salt and pepper to taste. 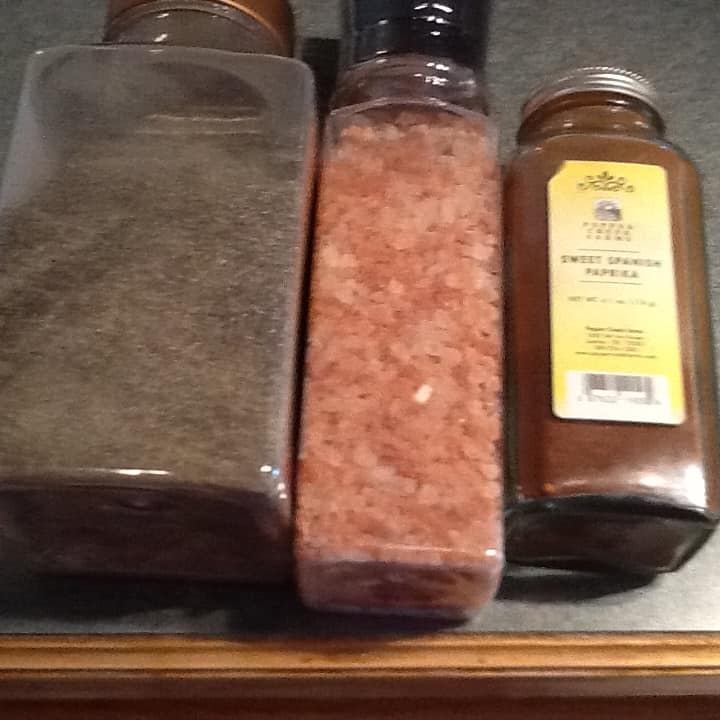 I do not use salt, but will serve Himalayan pink salt to grind if needed. Juice and rinds of: 1 lime, and I lemon. Worcestershire Sauce and Balsamic Vinegar. 1 roll package soft goat cheese (I got mine from the farmers market). Grated sharp cheddar and grated Reggiani cheese to sprinkle on top. Sweet Spanish Paprika to sprinkle on top. 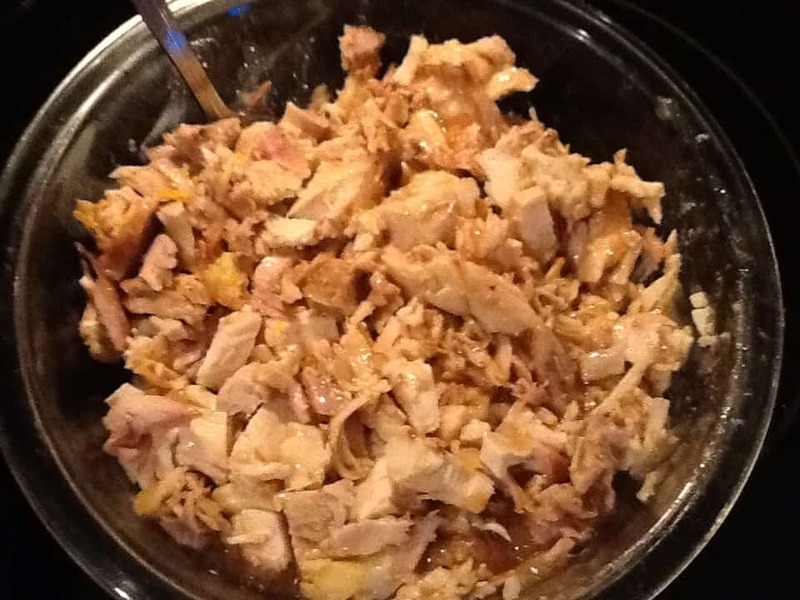 Put chicken and chopped citrus in slow cooker until tender and cooked. With a little oil and a few shakes of Worcestershire Sauce and a little Balsamic vinegar. When done cut into small pieces as shown. Put aside. 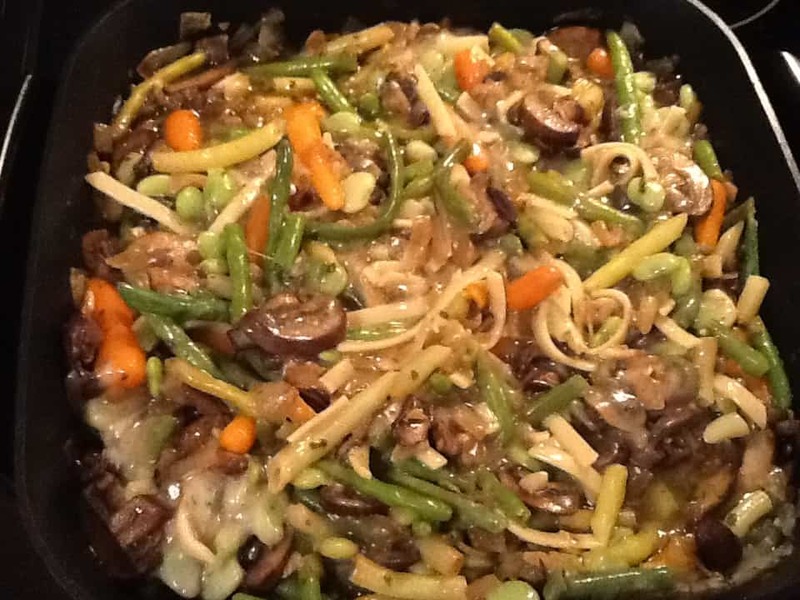 In a skillet, add 5 tbs sunflower oil, and chopped onions and garlic. When they are transparent, add mushrooms to absorb the oils. When they are plump, add rest of vegetables and parsley and simmer until tender but still crisp. 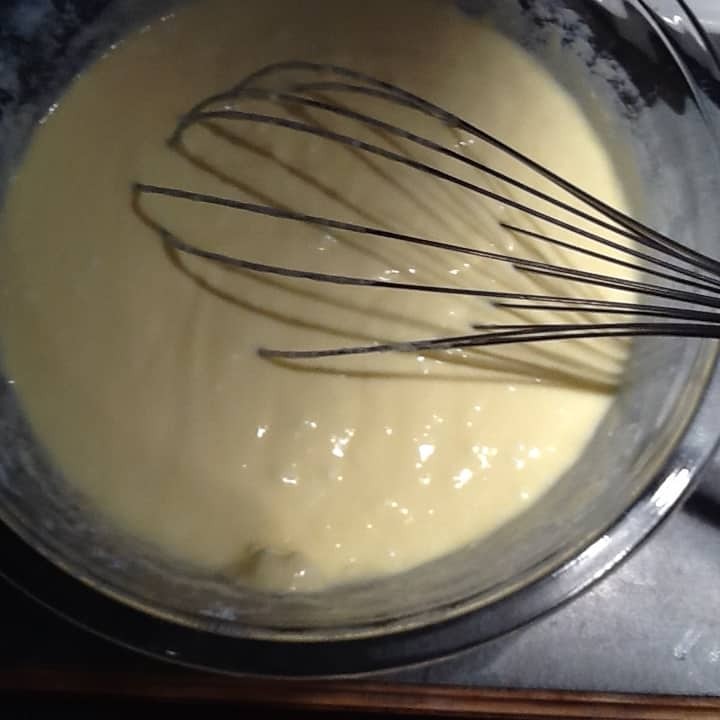 Mix chicken, veges, and egg mixture together and put into pie dish. Sprinkle grated cheese on top and finish with Paprika. Bake at 375 F or 180C for 35-40 minutes until set and top is a nice golden brown colour.